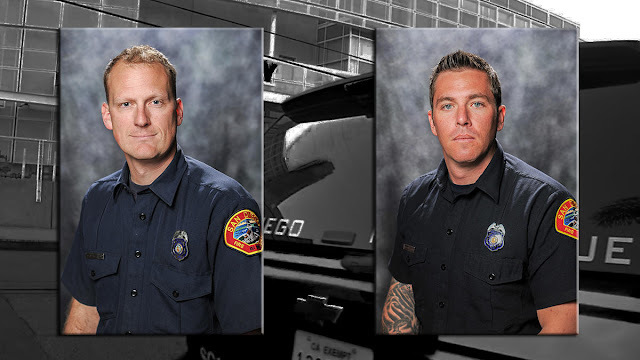 March 21--SAN DIEGO -- As jurors consider the case of a man who stabbed two San Diego firefighters during an altercation at a trolley station last year, they might be inclined to wonder: Who is Ryan Allen Jones? Is he, as a prosecutor argued Monday, a violent man who committed a brazen attack on firefighters and trolley security officers who were doing their jobs? Or was he, as argued by the defense, a Good Samaritan who felt compelled to defend himself to save his own life? Jones, 35, faces charges of attempted murder and assault with a deadly weapon, stemming from the June 24 incident that injured the two firefighters. He also faces battery charges linked to two Metropolitan Transit System officers who were involved in the scuffle. Jones has a 2008 conviction for battery on a peace officer, causing injury. 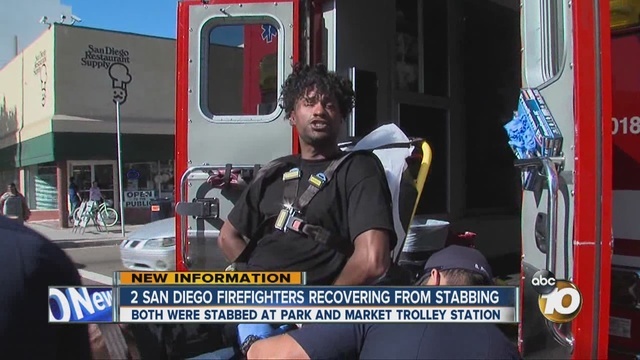 According to the evidence presented in the San Diego Superior Court trial -- including surveillance and body-worn camera video -- the stabbing occurred shortly before 4 p.m. at the trolley station at Park Boulevard and Market Street. The situation began when trolley officers contacted a man who appeared to be highly intoxicated. Jones testified last week that he saw the officers interacting with the man, and he decided to assist. Video shows the defendant helping the man take a seat on a concrete bench and kneeling in front of him. Jones said he was trying to calm the man down. Deputy District Attorney Steven Schott told the jury in his closing argument that transit security officers asked Jones repeatedly to back off, but he did not comply. At one point, the prosecutor said, even the intoxicated man seemed to get annoyed. When firefighters arrived, Jones continued to interfere, the prosecutor said. One of them, Capt. Steven Michaels, shoved the defendant, causing him to fall. The altercation continued when Jones stood up again and approached a transit officer standing nearby. The officer threw Jones over a railing. "He's angry, no doubt about it," Schott told the jury, adding that the defendant kept fighting and was hit with pepper spray when he approached one of the transit officers again. Jones pulled out a folding knife and said, "What's up now, mother----?" He then swung the blade at two firefighters, hitting Ben Vernon, a firefighter/paramedic, and Alex Wallbrett, who rushed to his partner's aid. Vernon, then 37, was stabbed twice and received medical treatment for a broken rib and collapsed lung. He was out of work for four months. Wallbrett suffered three stab wounds, one of which was close to his spine. "That's not somebody scared," the prosecutor said of Jones' comment when he pulled out the knife. "That's somebody trying to kill." Jones testified that he made the comment because he feared for his life. Already blind in his right eye from a childhood injury, he said he was rendered completely blind temporarily when he was sprayed in the face with pepper spray. He said he was surrounded and didn't know what would happen next. "I'm not going to be a statistic," he recalled thinking. "I'm not going to die today." His lawyer, Deputy Public Defender Thomas Bahr, argued to the jury that what happened the day of the stabbings was not "some brazen act of violence," but a necessary act of self-defense. Bahr said it was the fire captain who instigated the event, a man who had been involved in two domestic violence incidents. The defense attorney said the captain had trouble controlling his temper, and in this case he let it "explode on Mr. Jones." The jurors started their deliberations Monday afternoon.